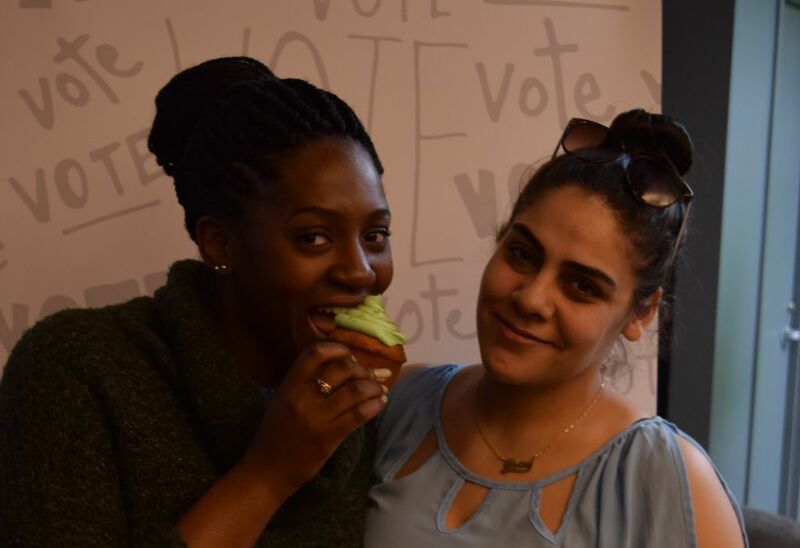 New SA vice-president May Ghadban enjoys post-election celebration with president Deijanelle Simon. Ghadban won by over 260 votes against her opponent Michael Wolff. Algonquin’s student body has spoken. On April 5, after five days of voting, board-approved Director May Ghadban was announced as the new vice-president of the Students’ Association for the 2019-2020 academic year. Ghadban, a second-year business administration-marketing student, beat out Director Michael Wolff, a fourth-year bachelor of early learning and community development student, in the VP election race by a tally of 980 votes to 714. Admittedly overwhelmed with emotion, Ghadban said she was anxious about how the results would play out. Ghadban has a clear vision for how she hopes to enhance student life, and her three main priorities are: building on the class representative system, working towards better student mental health, and helping more international students. Having served as class rep for her own program, she is well aware of the positives that come with the student board working hand-in-hand with the representatives. Ghadban’s opponent, Michael Wolff, was in good spirits following the announcement of the results. “Obviously I would have liked to have won the race, but I look forward to working as a director with May on the board this year. It’ll be a great time,” said Wolff. SA President Deijanelle Simon, who beat Wolff in last year’s presidential race, was uncontested in this year’s campaign and will return for the upcoming academic year as president. The results were announced in the Observatory by elections officer Paige Nicks at 2:30 p.m. on the final day of voting. Ghadban handily wins vice-presidential race Reviewed by Stephen Riccio on April 9, 2019 .